EAST GREENWICH, RI - February 27, 2013 (Investorideas.com Newswire) Verdi Productions and The Woodhaven Production Company announce that RI filmmaker Chad A. Verdi attaches writer/director Tom DeNucci to direct his next horror film Army of the Damned. Filming will begin in April with a star studded cast to be announced soon. David Gere and Seth Rosenblit will join Mr. Verdi and Gino Pereira as producers on the project. The film will be photographed by cinematographer Sam Eilertsen. Verdi will produce four films in the state of RI and employ hundreds of people over the next 18 months: "This film will mark the start of one of the most aggressive production schedules ever attempted by a production company. It was not our intention to try to film all four feature films in 18 months, we had a five year plan when we started out. But due to actor and director commitments, along with the financing and distribution schedule, we decided to pull the trigger and run with it." "We are in a great position because we are making films knowing that they're already sold and have distribution," Verdi stated. "Of the four films, two will be horror, one a comedy and the final will be my passion project PAZ; the inspirational true story of World Champion Boxer Vinny Paz. After a near fatal car crash left Vinny not knowing if he'd ever walk again never mind box, he went on to make one of the most incredible comebacks in sports history. To secure success and to meet our timetable, I will be using four different directors and over 100 actors on these four films." Army of the Damned tells the story of a hit reality TV show film crew following a group of local cops in a sleepy town. Things go horribly wrong when they respond to a call that brings a whole new meaning to the term "domestic disturbance." Faced with life and death situations, these officers are forced to throw the rule book out in order to stay alive. The lawmen do all they can to serve, protect and avoid joining the ARMY of the DAMNED. 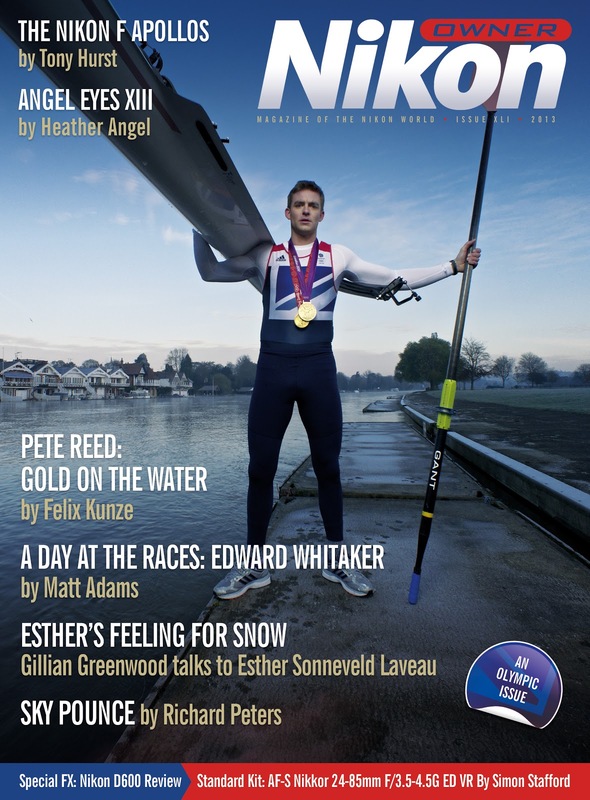 London - Nikon Owner magazine commissioned portrait photographer and rising star, Felix Kunze to shoot double Olympic Gold Medalist, Pete Reed at the prestigious Leander Club at Henley-on-Thames using the extremely rare 13mm f/5.6 Nikkor lens fitted to a Nikon D800. 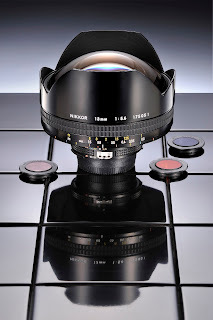 The 13mm f/5.6 Nikkor ultra-wide-angle lens was introduced in March 1976 in a pre-AI type lens mount. This extraordinary lens was only ever available to special order. The 13mm f/5.6 covers an angle of 118º. It weighs in at 1200 grams and represents the widest rectilinear lens available for the 35mm format. It is 4 inches long (10.2cm), with an aperture range from f/5.6 to f/22. It has 16 elements in 12 groups; the front element has a diameter of almost 11cm and is surrounded by a fixed 'petal' style lens hood. It has a floating rear element design, CRC close-range correction, a rectilinear element design for straight line rendition and can focus down to one foot. In 1977 the lens was updated to the AI standard, and in March 1982 the third version was introduced with the AIS type mount with four x 39mm (rear bayonet mount) filters: Skylight, Orange, Amber and Blue in a CL-14 case. It was designed by Mr. Ikuo Mori of the 1st Optical Section, Optical Designing Department at Nikon Optical Japan. Apparently only about 350 of these lenses were ever made. The location for the shoot was the prestigious Leander Club at Henley-on-Thames. The Leander Club is one of the world's oldest rowing clubs, an institution in itself and a hugely influential piece of British, International and Olympic history. Nestled by the finish line of the Henley Royal Regatta, it also occupies a prime spot next to the only straight stretch of the Thames anywhere. The shoot took place at dawn on a cold November day in 2012. As well as his illustrious career in the Royal Navy, Pete is a double Olympic Gold Medalist in the Coxless Four (Rowing) from Beijing 2008 and London 2012. He also has the world’s largest recorded lung capacity at 11.68 litres. "In order to capture the brilliance of this remarkable lens, one of the greatest Nikon has ever made, we needed a combination of a first class photographer like Felix Kunze, a remarkable sportsman like Pete Reed, a superb location like the Leander Club, and a gifted Director of Photography like Mark Gibson," said Gray Levett, Editor, Nikon Owner magazine. Nikon Owner is a worldwide publication with the purpose of uniting Nikon owners and bringing them unique offers that will increase their skill and interest in photography and Nikon equipment. Nikon Owner is dedicated to bringing the reader all the latest news and authoritative product reviews on Nikon equipment by renowned photographer and best-selling author Simon Stafford. Also featured are reader portfolios and inspirational pictures from the world’s leading Nikon professionals. It offers a unique perspective on the history, latest releases and events that shape the Nikon world. Then too, there are interviews with some of the greatest names in photography such asNational Geographic legend Jim Brandenburg and Richard Young, the single most sought-after celebrity photographer in the world, as well as the much loved actor and keen photographer David Suchet CBE, best known as Agatha Christie’s suave Belgian detective Hercule Poirot. Nikon Owner is unmissable reading for anyone who takes an interest in Nikon camera equipment. Our special features are filled with unrivalled, compelling writing and superb photography. POINT ROBERTS, WA - February 21, 2013 (Investorideas.com Newswire) Investorideas.com, an investor research portal specializing in sector research for independent investors issues an exclusive Q&A interview with industry leader, Sunwin Stevia International, Inc. ( OTCQB : SUWN ). Ms. Dongdong Lin, CEO of Sunwin Stevia, discusses its distribution and equity agreement with WILD Flavors, the recent approval for stevia in Canada and their new manufacturing upgrades and product development in preparation of a growing global demand for stevia. For investors unfamiliar with your history with WILD Flavors GmbH, one of the world's leading privately-owned manufacturers of natural ingredients for the food and beverage industry, can you give us a brief overview of the equity and distribution agreement and how WILD plays a key role in your growth strategy? As one of the biggest shareholders and investors in Sunwin Stevia International ( OTCQB : SUWN ), WILD Flavors has been dedicated to the ongoing development and marketing of Sunwin Stevia™. They have had success in gaining customer acceptance of Sunwin's brand, making use of their natural Taste Optimization Technology and excellent resources, especially in European markets. WILD Flavors and Sunwin have been cooperating to create new formulations, adopting advanced technologies to provide products with the best quality and taste. WILD has taken the role as a leader and a collaborator in the international marketing of Sunwin Stevia. Canada recently approved stevia as an ingredient in the food and beverage industry -- how does this impact companies like yours and the future of the industry? Sunwin has been preparing for the possible entry into Canadian markets for quite some time and now has some very good customer resources in place. The approval will allow Sunwin to further expand the scope of its market in North America, strengthen the awareness and promotion of stevia, and increase emerging customers. The company recently announced new high tech manufacturing upgrades in anticipation of future growth -- can you give investors insight as to the capacity of the new production lines and some of the key improvements made? Our new product lines include a high A3 product line, a stevia product line and a granule stevia production line with 500 tons annual capacity each. With the adjustment of relative technique standards, the production is more efficient and the quality of the product is strengthened as well. Take granule products for instance, we adopted the new advanced technical formula from WILD and the efficient boiling granulating technology highly expands the potential industry use of the stevia products. The Company announced in January it is now capable of producing high quality A3-99 stevia products. What are the market opportunities for this stevia extract and how are you targeting them? A3-99 is the highest quality of the REB A products in stevia industry. The ability to produce A3-99 illustrates that Sunwin has made huge progress and a significant break in the stevia manufacturing technique. The biggest difference between A3-99 products and other lower level products is the taste. A3-99 will be targeting customers with high demand for better taste quality. In late November you announced that you have started marketing six of the proprietary formulations developed in conjunction with WILD Flavors, Inc. to food manufacturers in China. What kind of growth opportunities do you see within China? Currently, the Chinese stevia market is in a development period, so the opportunity is still very much in front of us. The 6 formula is not only important for our marketing strategy, but also key to future cooperation with potential new customers. Having a full line of products, formulations and services, is a great competitive advantage for Sunwin as we enter the market. From a global perspective, as a new natural sweetener, stevia is becoming familiar and accepted by a growing number of organizations and consumers. We are seeing it in beverages, baking, ice cream and new products are announced all the time. The market has increased substantially by the approval for stevia in the EU and Canada. We are very optimistic about the continuing growth of stevia products and look forward to new countries approving its use .The potential global stevia market and business opportunity is bigger than we ever imagined years ago when we were first started producing and marketing our lines. About Sunwin Stevia International, Inc.
WILD Flavors Gmbh is the worldwide distribution partner and developer of Sunwin Stevia™ sweeteners using Sunwin Stevia™ extracts. WILD Flavors GmbH, based in Zug, Switzerland, is one of the world's leading privately-owned manufacturers of natural ingredients for the food and beverage industry. WILD Flavors provides specific flavors, colors, and ingredients as well as innovative and great tasting concepts through application expertise and technological advancements. www.wildflavors.com or www.wild.de. Sunwin Stevia International, Inc. is hereby providing cautionary statements identifying important factors that could cause our actual results to differ materially from those projected in forward-looking statements (as defined in such act). Any statements that are not historical facts and that express, or involve discussions as to, expectations, beliefs, plans, objectives, assumptions or future events or performance (often, but not always, indicated through the use of words or phrases such as "will likely result," "are expected to," "will continue," "is anticipated," "estimated," "intends," "plans," "believes" and "projects") may be forward-looking and may involve estimates and uncertainties which could cause actual results to differ materially from those expressed in the forward-looking statements. These statements include, but are not limited to, our ability to return our revenues to historical levels, our dependence on continued market acceptance of our products, competition, our ability to control our raw material costs, risks associated with operating in China, and other risk factors impacting our company, some of which may be beyond our control. We caution that the factors described herein could cause actual results to differ materially from those expressed in any forward-looking statements we make and that investors should not place undue reliance on any such forward-looking statements. Further, any forward-looking statement speaks only as of the date on which such statement is made, and we undertake no obligation to update any forward-looking statement to reflect events or circumstances after the date on which such statement is made or to reflect the occurrence of anticipated or unanticipated events or circumstances. New factors emerge from time to time, and it is not possible for us to predict all of such factors. Further, we cannot assess the impact of each such factor on our results of operations or the extent to which any factor, or combination of factors, may cause actual results to differ materially from those contained in any forward-looking statements. This press release is qualified in its entirety by the cautionary statements and risk factor disclosure contained in our Securities and Exchange Commission filings, including our Annual Report on Form 10-K for the fiscal year ended April 30, 2012.